Like so many other brides, Lauren wanted to customize her very own bridal dress for her upcoming summer wedding and after failing to find the right dress, while searching in over 10 different bridal stores, she realized that this would be her only option if she wanted to get the dress looking just right. 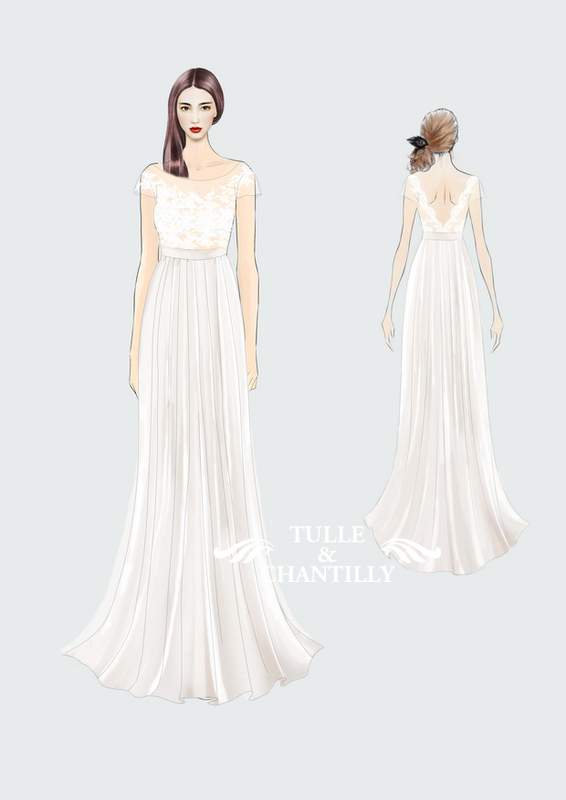 She wanted a “subtle off-white gown” with an illusion lace bodice and flowing chiffon skirt, which is a key look for the coming season. 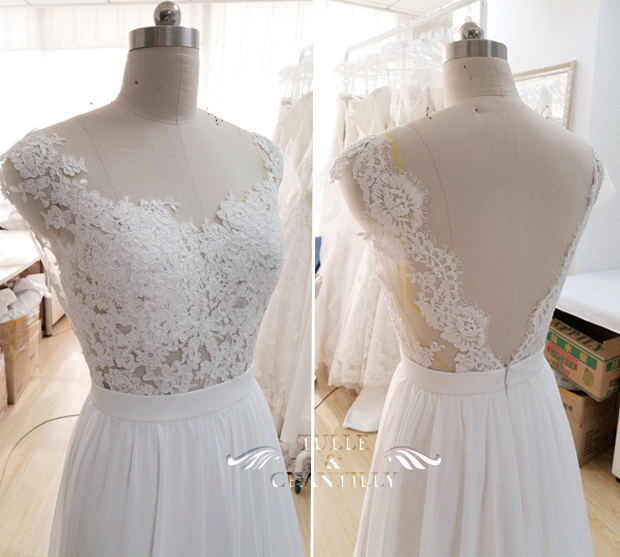 She loved the idea of a scalloped lace V shaped back, something, which our design team, have a lot of experience in. So as always our designers drew the sketch first and then sent it for Lauren’s approval and to ask if any modifications were necessary. Lauren loved the sketch and in the end only asked for a small part to be changed. 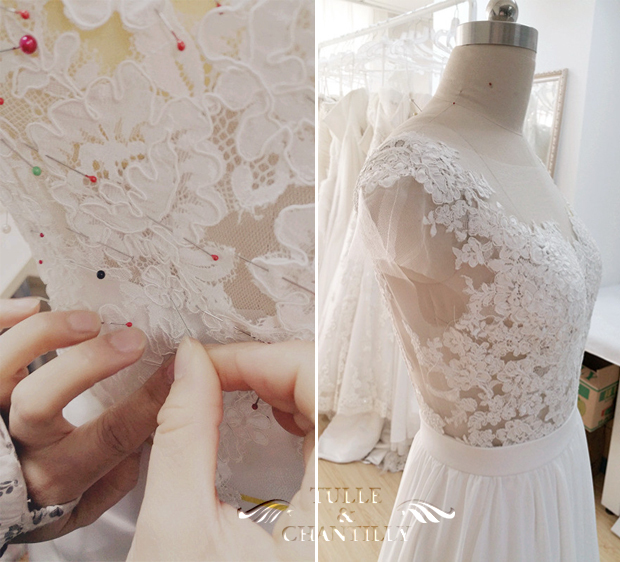 Once Lauren had confirmed all the specific details including, fabric, color and most importantly size measurements, our seamstresses began to make the dress. It was such a beautiful brief to work on and our design team; always love creating a new masterpiece. Especially one that will bring so much joy and happiness into someone’s life. 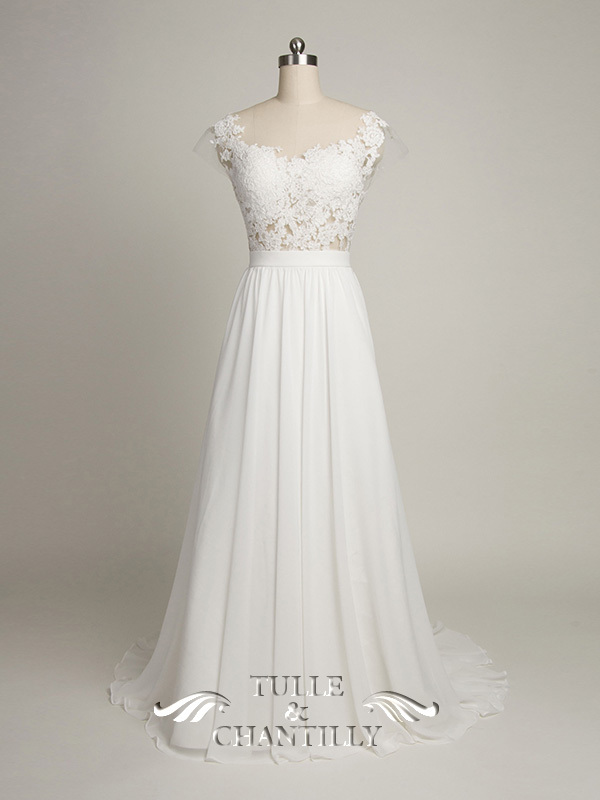 Before we shipped the dress out, we sent the finished dress photos to Lauren to check and confirm. She was so excited to see the final dress couldn’t find any fault with it! 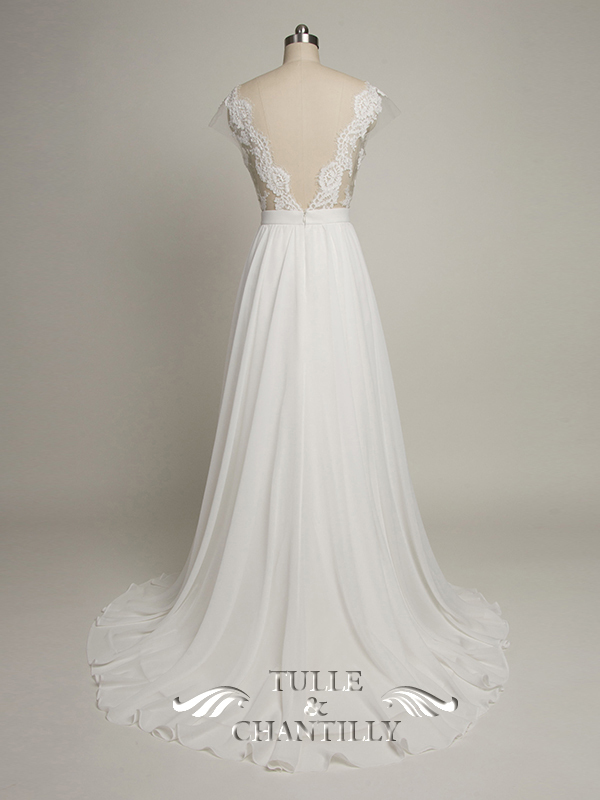 We cannot wait to see her wearing this elegant dress in the near future. I got my dress this weekend!! I tried it on and it’s absolutely gorgeous!!!! Thank you so much for working with me throughout this whole process and for being so patient with me. Thank you thank you!!!! You ladies are so great! Want to know more about the dress? Click here! 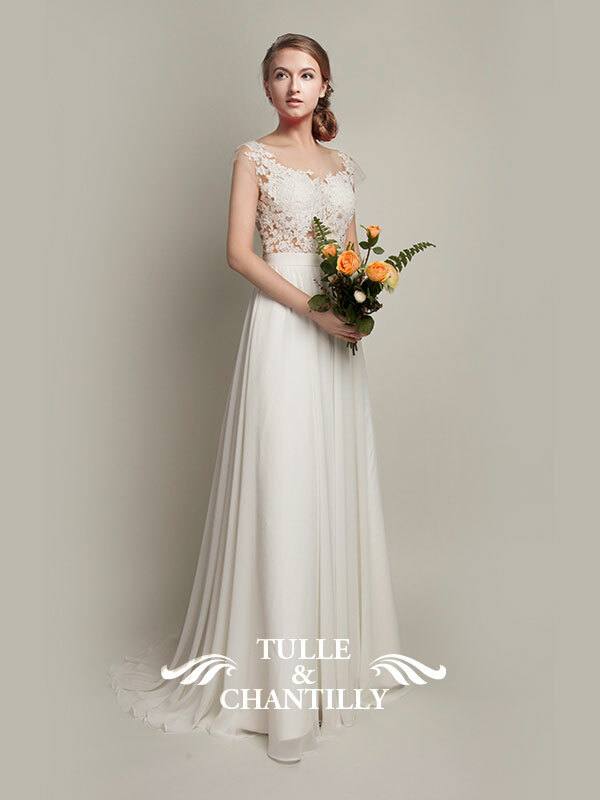 And if you also want to design your own wedding dress, just contact us at [email protected]!